Email can be a powerful tool to push people through different workflows. Here are some ideas from Gloria Knapp. Do you have a mailing list for your email marketing campaign but not taking full advantage of it? Maybe you’re sending out the odd email here and there. But it’s so important for your business to realize that email marketing is still one of the most popular forms of B2B marketing. It can generate so many leads for your business if you get your workflow management systems set correctly. Short on ideas? Here are eleven email workflows that your B2B business can use today to start taking your business to a new level of success. One of the most important emails that you’ll need to set up is a welcome email. These are triggered as soon as somebody is signed up to your mailing list and is one of the most expected emails that your customers want to receive. This is a great way to showcase what your business is all about and can include a tonne of information on opportunities that your business has for your customer to start exploring. It’s easy to set up these kinds of emails using tools like Target Hero. If you’ve sent out your welcome email but haven’t yet received any activity from the lead, they may be unsure of what they need to do next. You can alleviate this problem by creating a set of new customer emails that map their journey from a lead into a paying customer. For example, this kind of workflow can be laid out as follows. Firstly, you’ll send out your welcome email when they first subscribe. Then, a couple of days later, they’ll receive a guide that details the main ins and outs of the website and what sort of services or products they’ll be able to find. From here, you can slowly start to recommend products while providing them with a stream of promotional and valuable content, following the 80/20 rule. This should start to generate sales and interest on your website. If not, try sending them a discount voucher to entice them into making a sale. Consider what type of topics your business covers within your content marketing strategy. For example, if you’re an e-commerce store selling running sportswear, you could cover running exercises, running events, clothing and gear and running news. These are the topics that you’re covering, and each one should have their own email workflow. Using automation software like MailChimp and GetResponse, you can set up triggers so people who have accessed content on your website will receive custom emails related to the content they are interested in. It’s also highly recommended that you involve yourself in creating seasonal emails that surround public holidays. This can include Easter, Halloween, Thanksgiving, Christmas, Valentine’s Day and the list goes on and on. Of course, you’ll need to edit and theme your content around these days for them to be successful. If you’ve got a customer, who’s fairly engaged with your website, i.e. clicking on content and accessing certain pages, “This is a great opportunity to share more content that is catered to these users, making it far more likely that they’ll become a paying customer with the right level of nurturing” – explains Rosa Phelps, a Marketing Manager at Paper Fellows. When trying to nurture leads, it’s a good idea to start using automation software, such as the ones listed in this article, since they can provide lead scoring features that can help you to identify the quality of a lead. In turn, you’ll be able to place the right amount of attention and guidance on these leads as they make their way through the sales funnel. Hand in hand with the workflow above, if you’ve got a lead, or several leads, that are highly engaged with your website, for example, downloading your e-books and watching your webinars, this kind of lead may just need a little push in the right direction to become a paying customer. Within this workflow, try sending them exclusive web content that is specifically designed for them and the content that they have access, making it far more likely to nudge them into your sales funnel. Be sure to keep these emails short and sweet using tools like Easy Word Count, so your emails are precise. By keeping your emails sharp, precise and to the point, you’re ensuring that your emails and the information inside them are easy to digest in no time at all, making your customer much more likely to read them and respond to them. Over time, you’ll be able to collect a lot of information on your individual customers, and you’ll be able to see what content and products they are interested in. Using automated workflows, you’ll be able to pass all the information you have on these customers, such as the information on their browsing habits and their social media profiles, to one of your sales reps which will be able to give that customer a personalised sales experience. Make sure you edit these emails for maximum impact using editing tools like Boom Essays or Essayroo, as recommended at HuffingtonPost. 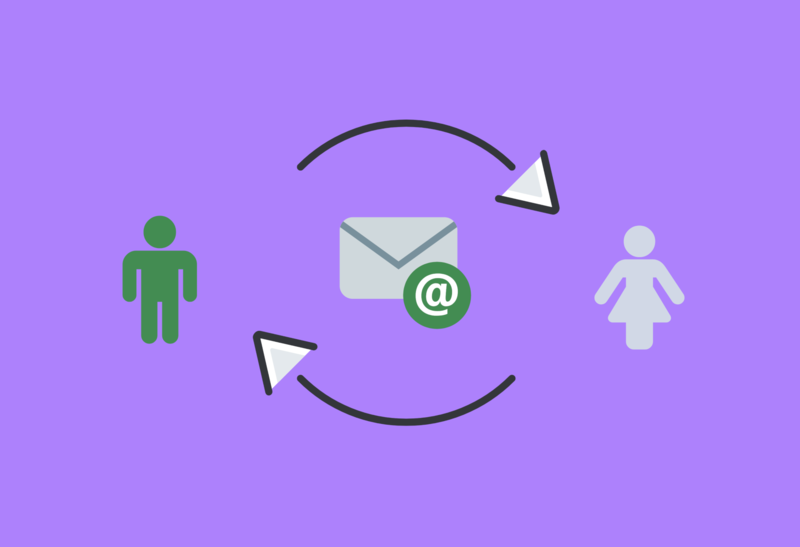 If you’ve got an email contact that has remained inactive for some time, you may want to use a workflow to rekindle that relationship. These emails can be triggered by a certain amount of time and work best by sending discount codes, incentives or coupons for money off their next order. What’s important with these emails is grabbing your customers’ attention. Check out this reengagement email example by Lowe’s. As you can see, the email readily accepts and acknowledges that the customer has been inactive with the business for some time and begs to share in an easy format what exactly the customers are missing. This particular email as even gone as far as to label the different elements of the email with numbers so the reader can easily follow the format while realising that there are at least seven things that they could benefit from by re-engaging with this business. If your business operates and manages certain events — a campaign can be used. Either online or live, these events can be advertised through a proper email marketing campaign. These emails can handle event registration as well as provide updates and continuous information about the event they will be attending. You can easily create a series of emails using email copywriting tools such as State of Writing and UK Writings. An event email series is a very niche series and one that not everybody is going to need. That being said, there’s still an extremely high level of creativity that you can take when generating these emails. Check out this example for the Big Sea Breakfast. Within this email, you can see the company has gone for a rather professional yet slightly informal style. The design remains simple yet grabs the attention of the reader. The email itself contains all the information the reader would need to make a decision. Namely, whether or not they want to go as well as more information on the business itself. In short, this email provides the complete package. Sometimes, you’ll be so close to making a sale. The customer will have added products to their basket or cart but then left it. This is a prime opportunity to address what went wrong by sending an email. And reminding them that they have items pending. If there are still problems that the customer needs addressing, you can provide information. You can also provide ways to contact you and have these problems solved. After your customer has made a purchase, this doesn’t mean that their journey with your business stops there. This is a great way to advertise other related products, more commonly known as upselling. These are triggered by a purchase that has been made. Don’t forget to proofread these emails using tools like Academadvisor or Cite It In to make sure the emails are all high-quality. Also triggered after a customer has made a purchase, you can use automated emails to ask for feedback. Feedback on the customer’s experience as well on the actual products themselves. You can then add these testimonials to your website or marketing content using professional plugins or tools, like Disqus. Pretty much every business, especially one that sells products or services online should have a customer feedback series setup. If possible, you need to remain friendly and neutral, covering both happy and potentially upset customers while remaining professional. As you can see, there is a tonne of options available to you in automation. Remember to get creative and think outside the box. Find how best to use these traditional workflow methods to match your B2B business. All so your customers have the best experience. Gloria Kopp is an email marketer and a content manager at Australian Help. She is an expert contributor and a column writer at Template Monster and Academized blogs. Gloria is an editor at Revieweal review writing blog, where she shares her opinion with international students.